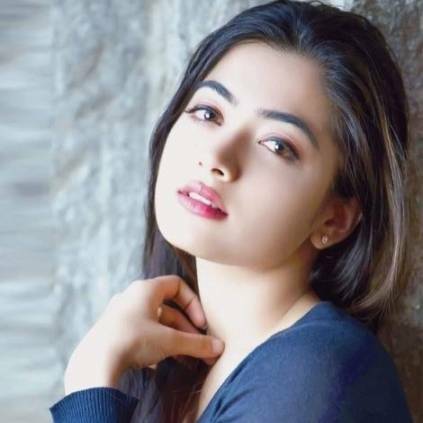 Rashmika Mandanna is a popular South Indian film actress who works predominantly in the Kannada and Telugu film industry. The actress was last seen in the Telugu blockbuster 'Geetha Govindam', directed by Parasuram and the actress was paired opposite Vijay Deverakonda in that film. Meanwhile, the actress is set to star as the female lead in 'Stylish Star' Allu Arjun's next film 'Icon', directed by M. Sukumar, who had earlier collaborated with the actor on superhits like 'Arya' and 'Arya-2'. The actress expressed her excitement in a tweet that also wished Allu Arjun a happy birthday on April 7. The actress will be making her debut in Tamil cinema this year with actor Karthi's untitled film directed by Bakkiyaraj Kannan. Allu Arjun was last seen in the V.Vamsi directed Naa Peru Surya. Stay tuned for further updates. People looking for online information on Allu Arjun, Rashmika Mandanna will find this news story useful.